Hi, my name is Ti. I’ve been with Dr. Craig’s team for 3 years as the Front Office Manager. 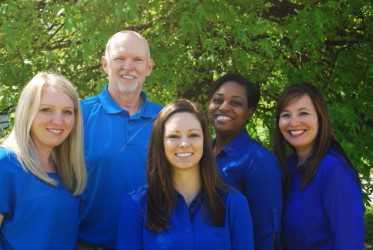 I bring to the practice a little over five years of dental assisting experience and over twenty years of customer service experience. I enjoy working for a dental office that provides the finest quality of dentistry in a caring atmosphere. Where we try to meet each patient’s individual needs while maintaining a professional environment. I am a proud mother. I enjoy spending time with my family and friends. Hello, my name is Debbie. I have been a dental hygienist for over 20 years in this practice. Many of our longstanding patients have been with me since the beginning of my career, which has given me a real ability to connect and understand our patients. I am proud to provide exceptional dental care in an office that upholds the highest ethical and moral standards by providing comfortable care, a thorough assessment of findings, dental hygiene treatment planning, prophylactic care/debridement, combined together with patient education and oral hygiene instruction. I am married and a proud mother of one son. I enjoy spending time with my family, participating at my church and exercising. I look forward to meeting you. Hi, I’m Jennifer and I have been practicing dental hygiene for over 10 years and have worked part time for Dr. Craig for 10 years. I enjoy working with such a kind and caring staff. Our office is very relaxed and we want you to feel comfortable and have fun when you come to see us. I enjoy interacting with patients and providing the best oral health-care. It is very important to me to stay up to date with current technology and education. I live in Evansville with my husband, Jeff, my kids, Ella and Parker, and my dogs, Kami and Daisy. In my spare time I enjoy spending time with my family, watching my daughter do gymnastics, and reading. Hi, my name is Brandi and I am Dr. Craig’s Dental Assistant. I've been with the practice for over a year. In 2016 I graduated from Murray State University with a bachelor’s of science in agriculture in the area of veterinary technology. While I had a lot of fun working with a variety of animals, I decided to pursue other careers and that’s when I discovered Dental Assisting. I enjoy learning new things, spending time with family and friends, camping and riding four-wheelers. I earned my Radiology license in 2017. I am currently a member of EDAS and the ADA. Some of my favorite pastimes include spontaneous day trips to Land Between the Lakes with colleagues, shooting in NASP archery in high school, and showing rabbits in 4-H.